“CreateSpace has put us in a very bad light with our customers! I’m at my wit’s end! 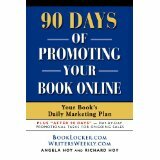 Can BookLocker get my book published right away?” YEP! After MONTHS of twice weekly (file) rejections from CreateSpace for the most piddling reasons, I have had it and found your site through Google. I have been a small press for 38 years and this is the first time I decided to try Amazon (which owns CreateSpace). Their publishing arm is a nightmare. CreateSpace has put us in a very bad light with our customers now. This book was a Kickstarter campaign and we are now six months late. The complaints are coming daily. We have only a few things left to format (caused by CreateSpace tearing apart the files). I need immediate help to finish this project off and get copies in the hands of the backers. Please let me know what you folks can do. I am at wit’s end right now. I can Dropbox over the complete book (in the new uncorrected version) so that you can see the project. To fulfill all the backers and contributors I need 100 copies ASAP. I have used virtually every POD and regular printer in my 38 years but this time I need to get quick assistance to complete what CreateSpace had us destroy. Yes, numerous complaints have been posted about CreateSpace over the years. Their submission process can be daunting (they can simply reject files, over and over again) and some authors get so frustrated that they end up paying CreateSpace’s ridiculously high setup fees to help them finish the job. For authors who have designed their own interior and cover files, BookLocker offers a DIY publishing program for only $76. That includes an ISBN, barcode, and the print proof (the first printed, bound copy of your book, which our printer sends out via UPS Next Day Air). The author can use their own ISBN if they want. Of course, we review the author’s files, and send them a detailed list if there are any problems. At BookLocker, authors don’t receive automated rejections from an annoying database. We work one-on-one with our authors. And, we don’t have call centers in other countries like some of the “other guys” do. In fact, we don’t have call centers at all! We detest telemarketers and spammers! BookLocker also offers a two-week Expedited Publishing Program and, of course, our most popular “At Your Service” Program, which gets a book to market within a month, affordably, and with a friendly, professional (and real!) human being working with you during the entire process. But you need to sign up by midnight on Friday. To see which POD publishers charge the least expensive setup fees, study the POD Price Comparison HERE .